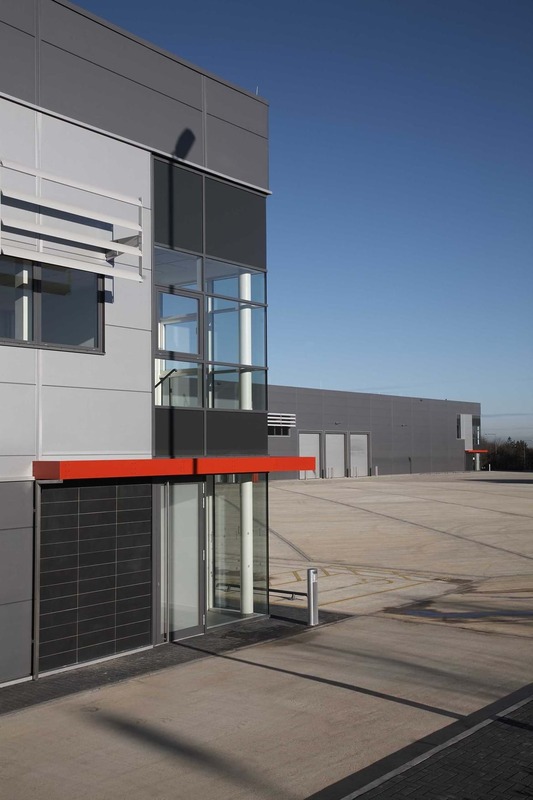 We were challenged to masterplan and design a number of warehouses of various sizes for this tricky, sloping site in Linfordwood, Milton Keynes. 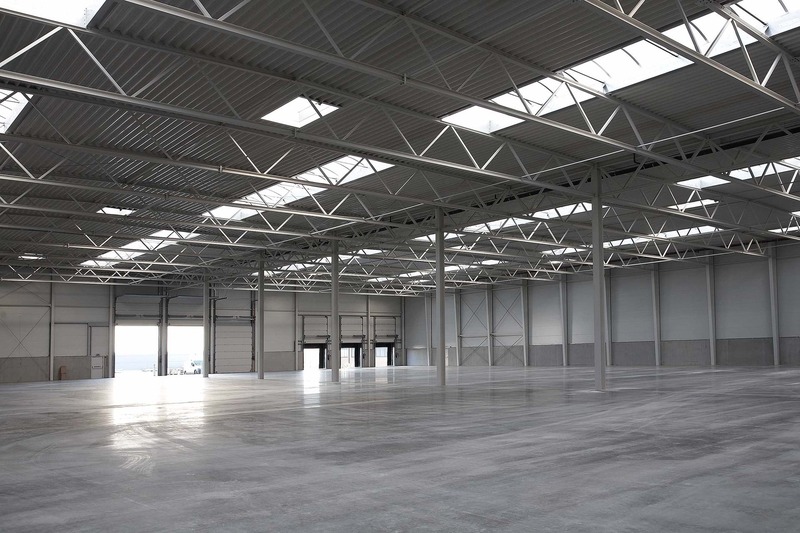 Providing 130,000 sq ft of flexible warehouse space. Conceived as clean black boxes set within the landscape and addressing the central courtyard area. 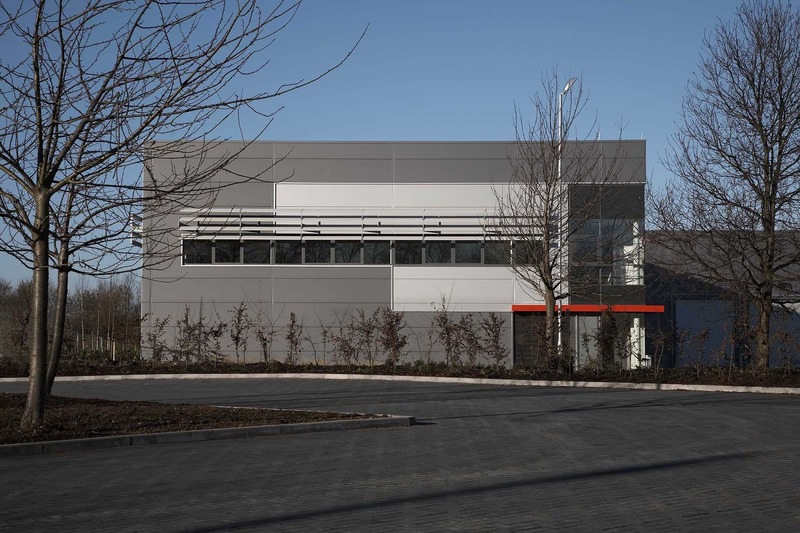 We have marked the entrance and office areas by a boldly coloured canopy and a change of cladding material from an insulated aluminium sandwich panel to natural slate. A series of complicated, gabion walled retaining structures are employed to provide a series of flat planes on the site, suitable for a warehouse use.